The Pawtucket Red Sox are pleased to announce that they have designated two home games during the 2012 season as "Peanut Free Nights" at McCoy Stadium. 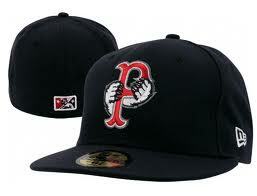 The games will be May 24 when the PawSox host Toledo at 7:05 pm and August 3 vs. Lehigh Valley at 7:05 pm. Peanut products will not be sold anywhere throughout the ballpark during those two games. Both of these "Peanut Free" games have been scheduled on the first day of a homestand ensuring that McCoy Stadium will be completely washed down multiple times to allow for a safe peanut free environment. Peanuts, Cracker Jacks, peanut flavored ice cream, and ice cream that contains peanuts will not be sold. In addition, no peanut products will be in any of the concession stands on May 24 and August 3. Furthermore, all bags will be thoroughly checked at the main entrance gate to McCoy thus ensuring that no peanuts or products containing peanuts are brought into the ballpark. For more information and to order tickets for the May 24th and August 3rd "Peanut Free Nights" at McCoy please visit the PawSox website of www.pawsox.com."